Just back from a successful and fun whirlwind trip to New York for PhotoExpo Plus, and I’m headed to Japan at the end of the week. The purpose of my visit to Japan is primarily photography, so I plan to take my time as I get to know some of the more historic and rural parts of the country. Any other activity such as sampling Fugu is purely incidental! Here’s an overview of my itinerary: I’ll be passing through Tokyo long enough to make some photos, then spending some time in Kyoto. From Kyoto I’ll move on to the old imperial capital of Nara, and then stay at a temple in Mount Koyo. Next, I’ll be hiking portions of the old Kumano kodo. Finally, I’ll visit Shikoku Island and pay a visit to Awagami—the mill that makes the washi I like to print on. I am very excited about this adventure, and hope to be sharing images with you along the way! “Even in the thumbnail on my mobile phone, I recognized this photo as Paris,” commented one viewer after seeing this photo. I am intrigued by the idea of creating iconic Paris imagery, and look forward to leading a group to Paris in April. Please consider joining us for photography, fellowship…and Paris. Click here for a detailed itinerary, and here for online registration. I shot this image using my D800 and my Zeiss 35mm f/1.4 lens. It looks great printed on Moab Slickrock Silver! My online course Mastering Flower Photography is going live soon! In the meantime, you can be entered in a random drawing to win a free course by clicking here and following this link. I’ll be presenting my work in New York at PhotoPlus Expo on Saturday, October 26, 2013 on behalf of my sponsors Moab Paper and Zeiss Lenses. If you are going to be at PhotoPlus, please stop by and say “Hi”—I’d love to see you! 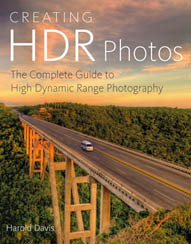 I will be giving away copies of my new book Monochromatic HDR Photography from Focal Press (Focal is located at Booth #128) during my Moab presentation. You’ll also find signed copies of my other new book, The Way of the Digital Photographer, at Peachpit Press (Booth #249). The daffodil is also a narcissus, and is a member of the Amaryllis family. The flower is a harbinger of spring. As a narcissus, the flower speaks to self-absorption: in classical mythology the beautiful youth Narcissus spurned the nymph Echo, who died of a broken heart. Narcissus then saw his own reflection in a pond, leaned over to possess himself, drowned—and became the flower. To make this image, I photographed the daffodils using a lightbox for the background. Leaning over my tripod, I did not fall into the lightbox and drown! After shooting a bracketed sequence, I used my special post-production layering techniques to combine the sequence of photos. Finally, I added the flowers to a scanned paper background to add an archaic look—almost like an old-fashioned botanical painting—and to complete the image. Interested in learning this set of photographic and processing techniques? There are spaces available in the February 2014 session of my weekend-long Photographing Flowers for Transparency workshop. Click here for more information and registration. On an overcast and gray day, I took the RER (Réseau Express Régional) out of central Paris to the suburb of Bourg-la-Reine. From the train station in Bourg-la-Reine I humped my gear the mile or so to the Parc de Sceaux (pronounced “Park de So“). The Parc de Sceaux is a less-well-known masterpiece of landscape design by André Le Nôtre, the seventeenth century landscape architect of Louis XIV responsible for the gardens at Versaille, the Tuilleries, and other famous formal French gardens. As I explored the area, my concern was that the looming clouds might turn to rain, making photography difficult. But as I approached the long channel of water that radiated across the width of the gardens in a cross formation, the clouds parted and the sun emerged, making the reflections just so…beautiful! Peachpit Press has published an excerpt from my book The Way of the Digital Photographer: Walking the Photoshop post-production path to more creative photography. 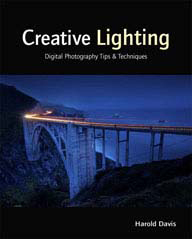 Click here to read the excerpt from the chapter on Working with Layer Masks in Adobe Photoshop. Millions of visitors crowd into the Île de la Cité in Paris to visit tourist attractions such as Notre Dame Cathedral and Saint-Chappelle. Just a few blocks away from the crowds, on the southeastern tip of the island, surrounded by the flowing, muddy waters of the Seine, is the Mémorial des Martyrs de la Déportation. Scarcely visited, The Mémorial des Martyrs de la Déportation is a memorial to the roughly 200,000 people deported from France to the Nazi concentration camps during World War II with the collaboration of the French government. The bulk of these 200,000 people were Jewish, and of course most of them were murdered and never returned. It is estimated that 60,000 to 70,000 were children. The photo shows the crypt, with a lit star for each of the 200,000 deported, with a raised platform in front containing the ashes of a few unknown victims from the concentration camps. This is a shot from behind the clock on the top floor of the Musée d’Orsay looking at the Louvre across the Seine River. The Musée d’Orsay is converted from a railway station, hence the clock tower. I shot through plexiglass with my Zeiss 35mm f/1.4 wide open (at f/1.4) for absolute minimum depth-of-field so the landscape would be in focus but the foreground—the somewhat dirty plexi—would be out of focus and unobtrusive. I dreamed I saw Monet’s garden at Giverny again. This time in autumn. My dream was waking, and I was really there. What a pleasure to be at Giverny with my camera twice in the same year, once in the spring and once in the fall! Shot with my Zeiss 15mm f/2.8 and the D800 on tripod. As dusk turned to night on an evening of gathering clouds, for some reason crowds started to form near the Pigalle metro stop. Wandering, I paused and shot this image of the massed people and a police car with sirens blazing. I used a five second exposure, and intentionally moved the camera slightly during the exposure to add to the expressionistic effect. This is a shot looking almost straight up at the line of trees in the late afternoon in the Parc de Sceaux (pronounced “Park de So“) using my 15mm f/2.8 Zeiss lens on the D800. On the outskirts of Paris, at the last stop in the #1 Metro line, lies La Défense, the largest special-purpose business district in Europe. Fifteen of the world’s fifty largest companies are headquartered here. New skyscraper construction is ongoing. Anyone who thinks that France is a cute, cuddly and archaic country should check out La Défense—where the architectural homage to aggrandizement, capitalism and perhaps crypto-fascism is unabashed. In the direct line of sight of the distant Arc de Triomphe, the giant cubist arch at La Défense not so much complements the Arc de Triomphe as attempts to trivialize it. The white marble steps climb abruptly upwards towards the government offices within the vast space enclosed by the hollow cube. They are slippery when wet, as it was when I visited in a light, cold rain. To make the image shown above, I exposed for the very white stairs, intentionally selected an aperture for shallow depth-of-field (f/5.6), and focused closely on the stairs in the extreme foreground, allowing the businessman climbing the stairs in the background to appear out of focus and silhouetted. Yesterday I photographed a model in Paris. Kira is an American professional model, but she could pass for Parisian (and indeed has some French ancestry). We met in the morning, and started with some shots with the Eiffel Tower in the background. I was looking for backgrounds that said “Paris,” but more of everyday life and not so much the Eiffel Tower, so we got on to the Metro. At the Passy Metro station, just across the Seine from the Eiffel Tower, Kira’s natural elegance was on display. But in the court at the Louvre in the front of the equestrian statue of Louis X IV, I made her loudly proclaim “Liberté, égalité, fraternité,” as though she were heading to the barricades (the tourists in the background seemed unmoved, as did the statue). After some time photographing (and posing) we were both eager to get out of the chill wind. So we retired to a cafe (where of course the photography and posing continued). Wild weather adds to the fun in this autumnal view of Paris from the rooftop deck of Galeries Lafayette. The observation deck is several floors above the dome, and it is cool riding the escalator and watching the top of the dome beneath!